Keep your coins in a safe place during your journey to the next coin fair. An attractive and secure transport and storage suitcase made from robust aluminium. 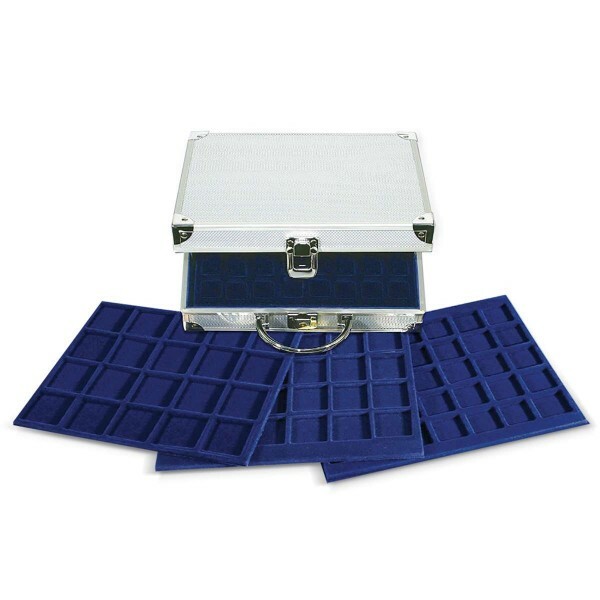 This box can contain up to 214 coins in removable velvet trays. (Contents not included). For 5 different sizes: diameter 18; 22, 26, 33 and 40 mm.